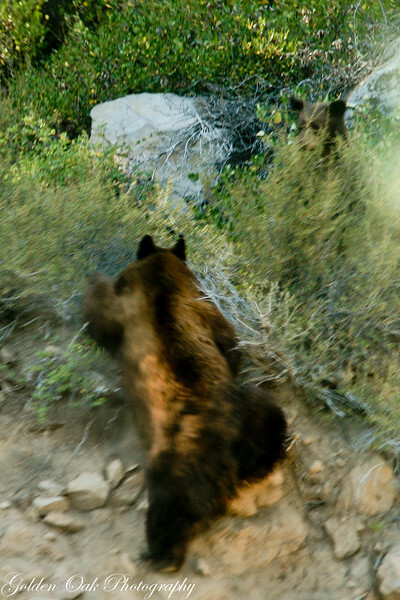 As we were coming home from Lake Tahoe, suddenly a head pops out and then after giving me the eye..a big bear runs across the road as I scramble to grab my camera..Only after we got home I noticed the second bear hiding in the rocks wating..That wall was almost verticle and she went flying up.. Awesome...I got to see one last week...but I wasn't quick enough! I get so excited to see them in the wild!